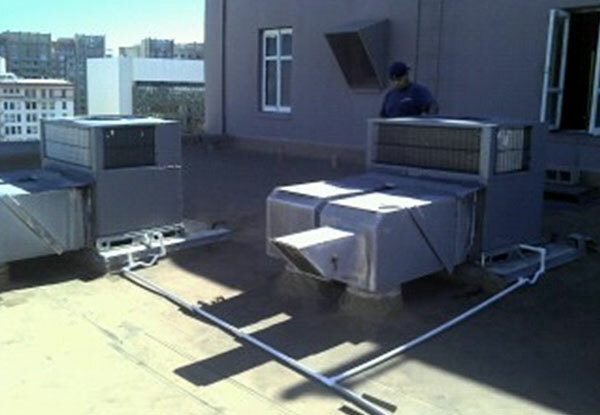 Long Beach Heating and Air Conditioning is the preferred choice for light commercial HVAC service, repair, maintenance, sales, and installation in Long Beach, Signal Hill, Torrance, Palos Verdes, Carson, Redondo Beach, Hawthorne, Lakewood, Seal Beach, Huntington Beach, and surrounding cities. Founded in 1957, we're the oldest and largest HVAC company in Long Beach. We have a dedicated team of highly experienced, NATE-certified HVAC technicians with specialized training in commercial HVAC installation and troubleshooting, who stay up to date with the latest and best practices for heating and air conditioning repair, service, and maintenance. We keep our large fleet of service trucks well stocked with the latest refrigerant gauges, vacuum pumps, refrigerant recovery machines, portable welding equipment, and other diagnostic tools and service equipment, as well as refrigerant and high-quality universal and OEM motors, contactors, electrical breakers, fuses, condensate pumps, and other commonly needed parts, making it possible for us to complete most jobs on the first call. "We are big enough to take care of your needs, but small enough to give you personalized service." While we have the capacity to serve the varied heating and air conditioning needs of our large customer base, we still hold fast to traditional values and honest business practices. We believe in providing great service for a fair price. As a result, we have more than 92,000 satisfied residential and commercial clients and a stellar reputation throughout Long Beach, Signal Hill, Seal Beach, Huntington Beach, Downey, Paramount, Carson, Norwalk, and the South Bay. Long Beach Heating and Air Conditioning has been Long Beach's exclusive Bryant Factory Authorized Dealer for nearly 30 years, which means that we offer the best sales, installation, maintenance, service, and repairs for Bryant air conditioners, heaters, heat pumps, mini-splits, and packaged systems in the area. All of our staff, from our receptionists to sales reps and service technicians, receive ongoing factory training and are held to the highest of standards for customer service. As a Bryant Factory Authorized Dealer, we maintain a large inventory of Bryant parts and offer the best pricing on Bryant heating and air conditioning systems. Because Bryant has such strict expectations for its dealers, Bryant Factory Authorized Dealers are considered to be among the industry's most trusted HVAC contractors. Additionally, Long Beach Heating and Air Conditioning has distinguished itself among these dealers by earning the Circle of Champions award two years in a row. This is a recognition that is only given once a year to the top 55 Bryant dealers in the country for their superior performance and customer service. Call family owned and operated Long Beach Heating and Air Conditioning today for all of your commercial HVAC needs. We carry a $2 million umbrella policy with worker's compensation and are fully licensed. We are a member of the Institute of Heating and Air Conditioning Contractors (IHACI) and receive ongoing factory training from Bryant. Long Beach Heating and Air Conditioning provides expert, reliable, and affordable heating and air conditioning service and repair for commercial clients throughout Long Beach, Signal Hill, Torrance, Palos Verdes, Carson, Redondo Beach, Hawthorne, Lakewood, Seal Beach, Huntington Beach, and surrounding cities. As all of our service technicians are NATE certified and have years of experience, we are qualified to repair light commercial heaters and air conditioners made by all major HVAC brands. Diagnostic visits are $89 and include an honest and accurate diagnosis of the problem. Whether we determine that your air conditioner has a bad capacitor or your furnace's ignition control is malfunctioning, we'll present you with your options for fixing the issue and upfront, flat-rate pricing. Heater and air conditioner repairs are performed according to the industry's highest quality standards using your choice of OEM or universal parts. Since we keep our trucks well stocked with a variety of the most commonly needed parts, we can handle many repairs on the first visit. Otherwise, we can promptly order the specific part you need. If a system is beyond repair or we think we can save you money, we may recommend replacement instead of repair. If you decide to replace your air conditioner or furnace, we'll automatically waive the diagnostic fee. For all new and replacement HVAC system installs, we dispatch an experienced and highly knowledgeable sales representative to provide a free on-site consultation. During this consultation, our rep will evaluate your building's size and layout, learn about your heating and cooling needs as well as any energy efficiency goals, and then provide personalized recommendations on a system. We typically offer good, better, and best scenarios and review financing options and available rebates. We also evaluate indoor air quality, the ducting system, potential energy savings that could be achieved through zoning or a programmable thermostat, and more. 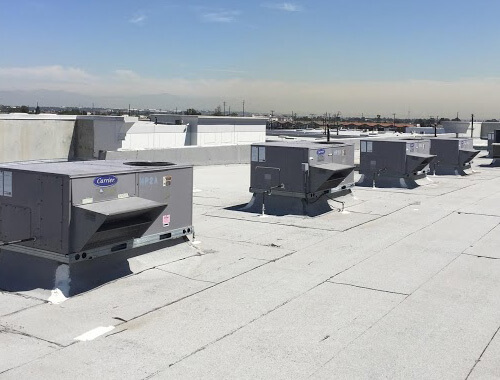 Call today for a custom heating and air conditioning solution for your commercial building anywhere in Long Beach, Signal Hill, Torrance, Palos Verdes, Carson, Redondo Beach, Hawthorne, Lakewood, Seal Beach, Huntington Beach, or other nearby city. We offer exceptional pricing on Bryant's complete line of light commercial air conditioners and heaters, and our prices for HVAC equipment and installation are frequently 20-25% less than big box stores. Once a bid is approved, we'll work with you or your property manager or general contractor to ensure the project is completed on time and with the proper permits. 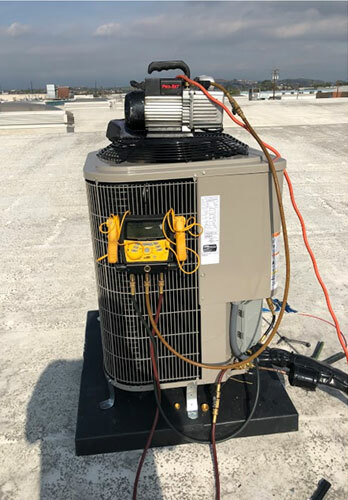 We have successfully installed new or replacement HVAC systems for thousands of properties, including shopping centers, strip malls, medical buildings, corporate offices, apartments, car dealerships, condominiums, industrial manufacturing facilities, warehouses, schools, and apartments. All work is done to code and backed by industry-leading warranties. By scheduling regular maintenance for your commercial heater or air conditioner, you keep your equipment running smoothly, efficiently, and reliably. Preventative maintenance not only reduces your energy costs and catches problems early, but also improves indoor comfort, prolongs the lifespan of HVAC equipment, and contributes to a healthier, cleaner environment. While an HVAC tune-up is required at least once per year, we generally recommend tune-ups once a quarter or every two months for optimal results. Call us today to schedule a one-time heater or air conditioner tune-up or inquire about our Commercial Service Agreement. Commercial Service Agreements are customizable and include regularly scheduled maintenance visits, priority service, and discounts on parts and filters. In addition to standard air conditioning and heating tune-ups, we also offer duct cleaning. If you have black streaks around your registers or are noticing more dust collecting on countertops and shelves, it may be time to have your ducts cleaned. Having your ducts cleaned not only reduces dust, but also improves indoor air quality and helps keep contaminants out of your HVAC equipment. Duct cleaning is recommended every five to eight years or anytime that a new air conditioning or heating system is installed. They need to follow up on their service contracts proactively. They should not be waiting for me to call. One of the service techs, didn't do anything when he came out. Didn't change a filter. Didn't check for leaks, etc. I called and they sent a second person.